Rømø Island is the southernmost of the Danish North Sea barrier islands. It forms part of the Frisian island chain that stretches from the Netherlands to Dennmark and which encloses the Wadden Sea, a vast area of shallow lagon and tidal flats. Rømø is linked to the mainland by a 9 km-long concrete causeway. Rømø is separated from the German island of Sylt by a tidal inlet but the two are intimately linked and form part of a barrier island chain. 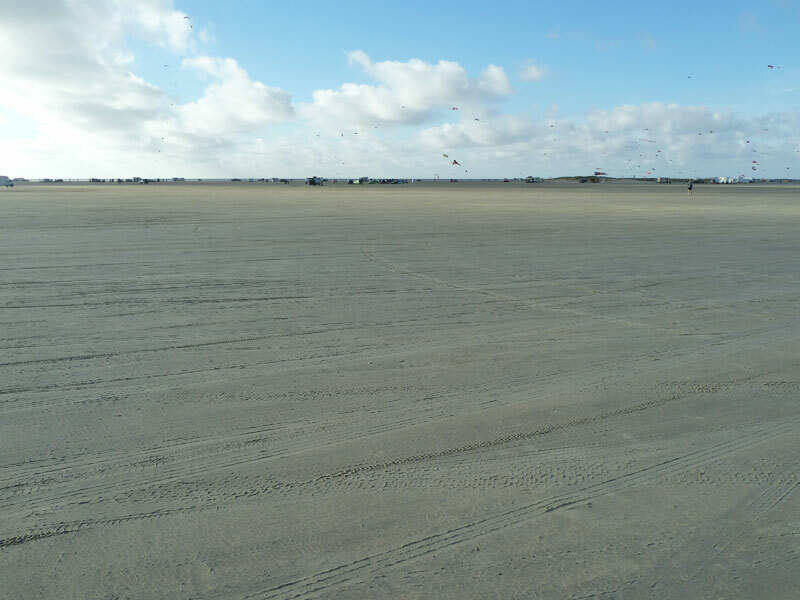 Since beach nourishment started on Sylt, additional sand has been carried northward by longshore drift where it ‘leaks’ across the border (the tidal inlet) and adds to the sand volume on Rømø. 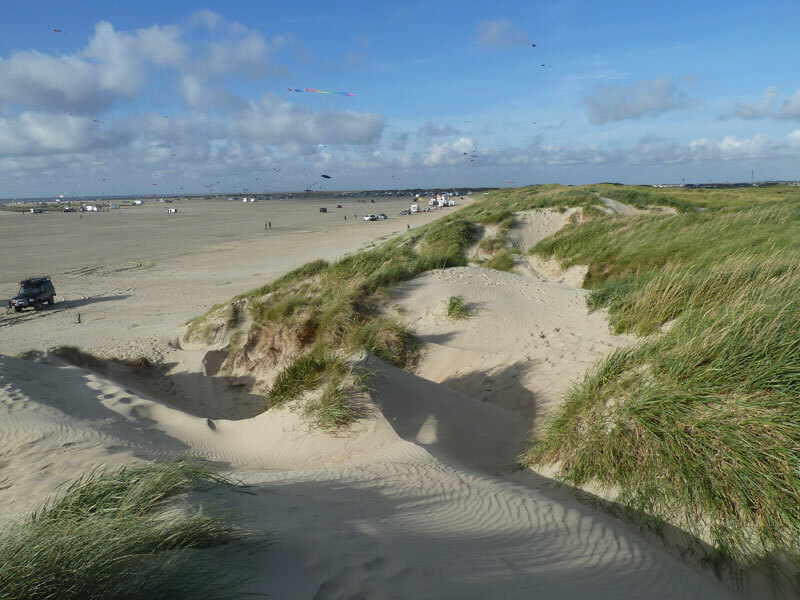 Despite this addition of sand, the beaches of Sylt and Rømø are quite different. The beach at Rømø is 10 kilometres long and up to 2km wide. In fact its narrowest point is still almost 700m wide. The beach is composed of hard, well compacted fine sand and much of it is still above the high tide mark. 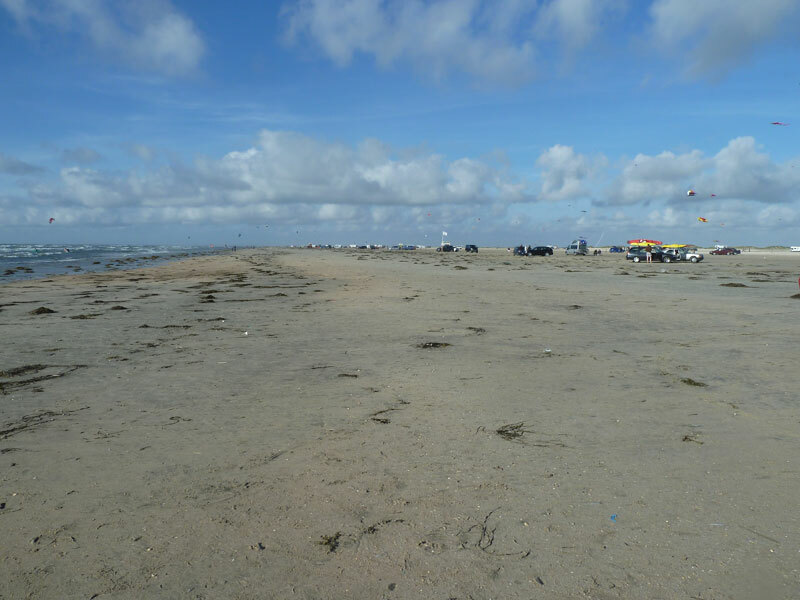 This makes it ideal for vehicle access and thousands of cars, motorhomes and other vehicles regularly drive onto the beach. Although parts of it then resemble a car park, there is such a vast expanse that much of the beach is still empty. 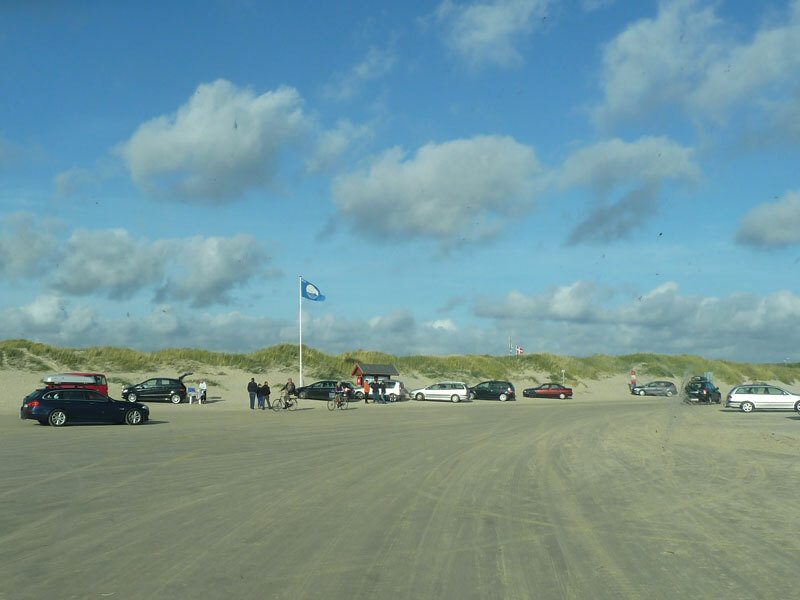 Despite the large numbers of cars the beach has a Blue Flag award. 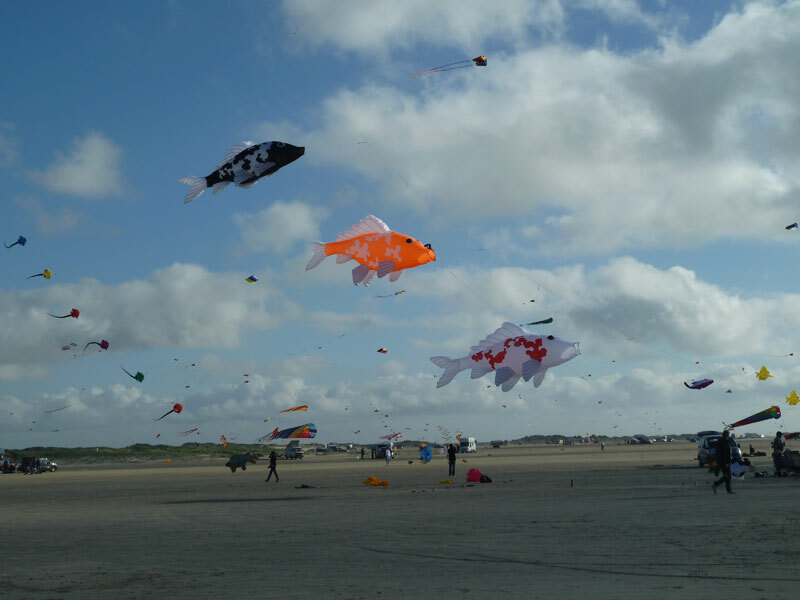 A particularly impressive feature of the beach is the annual Kite Festival (Dragefestival) on the first weekend of September. 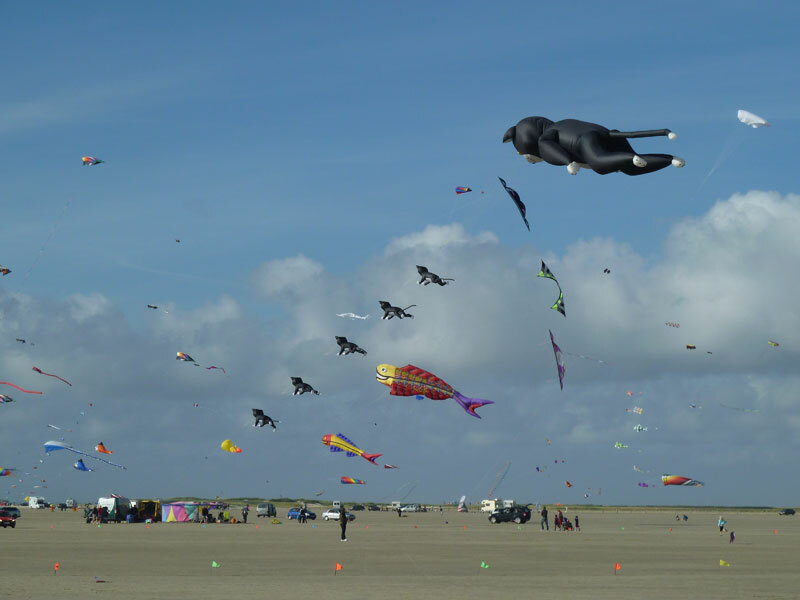 During the festival hundreds of brightly coloured kites of all shapes and sizes are flown on the beach, taking advantage of the persistent westerly winds. 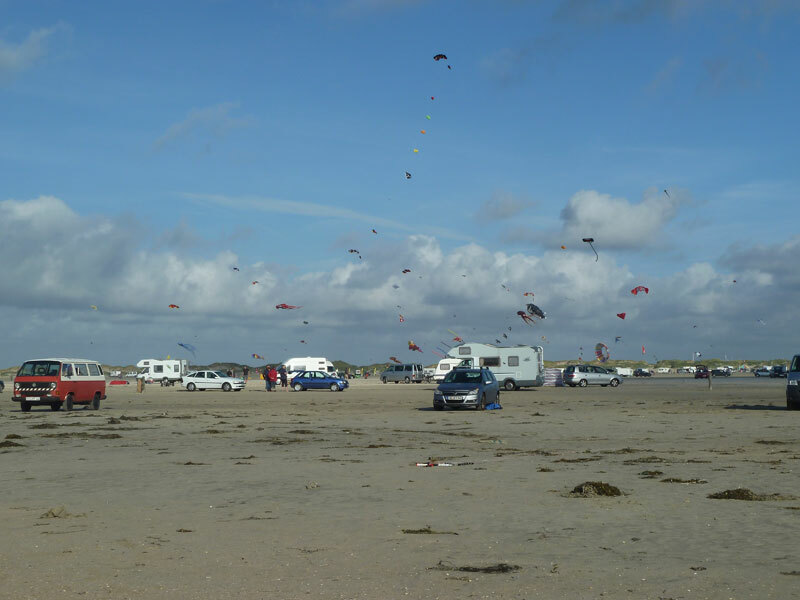 Visitors also exploit the winds for kite boarding, kite buggying, windsurfing. The winds also produce large dunes behind the beach and indeed, most of the island is covered in undeveloped sand dunes. 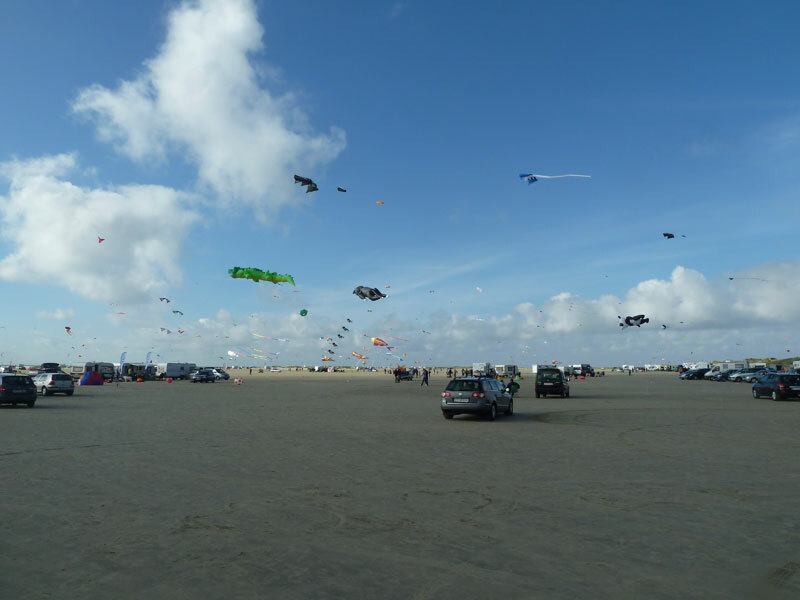 The photographs above, show the beach and dunes during the 2012 Kite festival.